WhereArtI time we are back in Edinburgh… but where? If you recognise the sketch above then let me know below, there are points on offer!! Keep an eye on the facebook and twitter throughout the day for clues if they are needed. Answer to come before the end of the day. If you would like to sponsor the quiz or indeed feature in the quiz, then get in touch HERE. 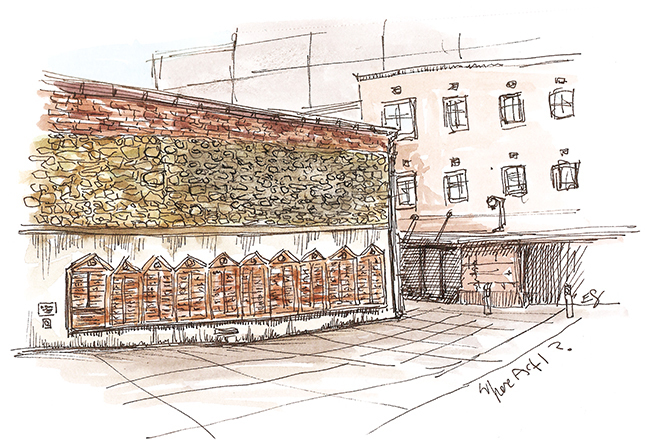 WhereArtI Update: This is the ‘Wall of Fame’ out side the Festival Theatre (on Alison House). Made of signatures from stage stars that have appeared at the Festival Theatre. Well done: Jon Davey (3pts), @HotOyster (2pts) and ‏@dunedinhen (1pt).